I bought this Dell Inspiron i3531-1200BK two weeks ago to replace my old (5 years) 17″ Dell notebook, look how you can find the service tag here. I looked for a laptop with smaller screen size, because with a 17″, it is a bit too big to use it in the lap. The Dell Inspiron i3531 size is exactly ideal for my need. There are a few similar specs Windows 8.1 laptop that has the same N2830 Baytrail processor, but one has only 2gigs of RAM (this one has 4gigs preinstalled), and the other one (not yet out) has only 3 cell and this laptop has 4. It is really incredible what a 5 years difference can make. This laptop is noticeably faster than my old one due to its a dual-core celeron Bay Trail processor, more power than previous celerons model. More CPU power, yet less power consumption, I’m pretty pleased with this new processor. The laptop itself feels easy to carry around, I measured mine, it weighs approx. at 4.8 lbs. Surprisingly, I really enjoy this computer operating system which is Windows 8.1 preinstalled. There is a learning curve, but if you previously use Windows 8, you can modify the style easily, which makes it very pleasing and straightforward to work with. 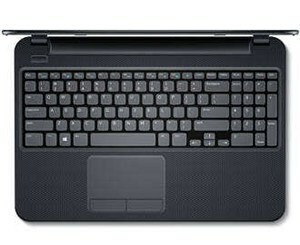 The laptop comes with thin 500gb Seagate Momentus hard drive, 4GB of RAM and the dual-core Intel Celeron N2830 processor. The RAM can be upgraded max 8GB, and it has one RAM slot, so you need a single 8gb RAM to upgrade. This is what I like with this laptop, it has easy access if you want to upgrade the hard drive or RAM, which is different than new laptops these days, they tend to make things hard for upgrades. You can find the easy access panel on the bottom of the laptop, which is great. Another plus is, This Dell 15″ laptop has no fan or fanless, it means, the machine runs quiet and stays cool, the only noise you will hear slightly is the hard drive. If you replace it with SSD, then you will have no noise at all. About battery life, I was actually somewhat uncertain simply because I knew that most of laptops do have short battery life. With this laptop however, I need to say the battery life time is darn good, but not best. I am getting about 5-7 hours from basic to intermediate use. The keyboard is very comfortable to type on, no flex, it has chiclet style, and it is a full sized keyboard with the numpad, which seldom to find in a 300 bucks range laptops. The trackpad works fine, but nothing special about it. I did not expect to have an i7 intel processor powered laptop around this price range but this laptop is just usable and is better than I expected. Overall, this laptop isn’t for everyone, if you are a gamer or heavy computer user, of course I suggest you to look for another laptop. I tried counter-strike on it, 60fps was impossible to get, could only get 60fps for super meat boy game. But if you need an affordable laptop under 300 which can do YouTube, browsing, and basic words processing, then I will recommend this Dell Inspiron i3531-1200BK 15.6-Inch Laptop. Make sure you won’t pay more than $290 better yet, get it from here, the price what makes this laptop amazing! This one seems pretty good! Hi there – thanks for this review! I wonder if you can answer a question for me, or know how to do the following… I purchased the Inspiron 3531, with the intent of using the hard drive from my old computer, and putting it into this 3531. I know how to physically remove and replace the hard drive; that’s easy. But the CMOS does not use the new (used) hard drive (B).. It SEES it and knows the size, but it won’t boot up using the hard drive. In setup, I’m unable to select hard drive B, nor am I able to tell the computer to boot up using hard drive B. Any suggestions? Thanks! Did you try to disconnect and reconnect the power and data cable? I usually gave about 20 seconds to make sure all residual power is completely gone. Then restart your PC, also confirming that your HDD has no errors may help too. I bought this for my daughter who was a freshman in college. She only needed a laptop for word processing, ect. She wanted to watch a DVD on a basketball trip and could not find hoe to open the cd player. Surely, this has one? Why would a laptop be sold without the ability to play a CD? HELP. 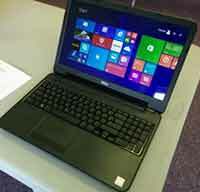 This laptop doesn’t have CD/DVD player/writer to make the laptop lightweight and less bulky. You can get 30 bucks USB external DVD driver, plugin into your laptop via USB 2.0 and you will be able to play DVD. Can you put in a dvd/cd drive? Hey, via USB port, yes.